At first glance, a rifle case seems like a simple thing. It's one piece of brass that has been drawn and formed into a shape somewhat resembling the rifle chamber in which it will be fired. In a sense, that's all a rifle case really is. But from the perspective of the precision rifleman, the there's more to learn. Almost every competition or military precision rifle built in modern times is based on a cartridge with a rimless case design, so that's what we'll focus on. Lets start with basic parts of the case. 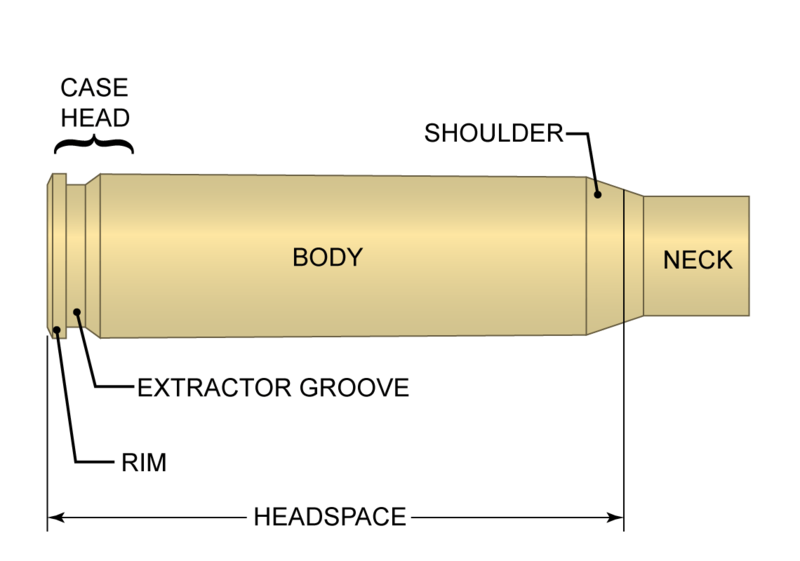 Neck: Perhaps the part of the case that most impacts accuracy, the neck is the area that holds the bullet in place. 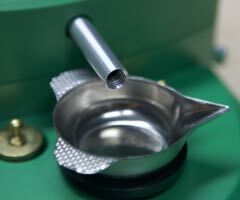 How straight the bullet gets started on its journey is of great importance. The brass is thin here, approximately 12 to 15 thousandths of an inch. It is also soft, as the brass in this area is worked heavily when reloading. Hard necks will split when resized or fired. Bullets fit into the case neck with an interference fit. Prior to bullet seating the case neck's inner diameter is smaller than the bullet's diameter. When the bullet is seated the neck stretches to hold the bullet in place. Once seated, it will take a fair amount of force to push the bullet into the case or to pull it out. This "neck tension", as it is called, is properly measured in units of force (pounds, for example), but is more often referenced by the size of the interference fit. 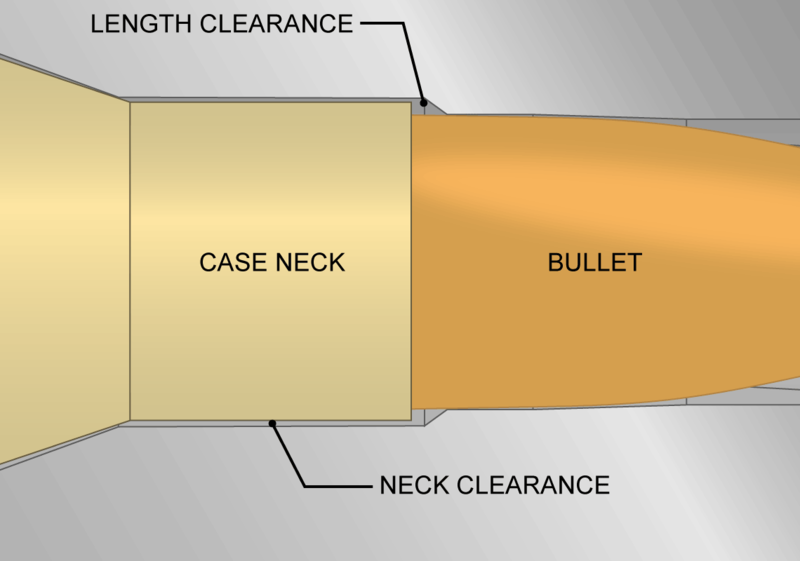 For example, if the case is 0.002" smaller than the bullet, the loaded round is said to have 0.002" of neck tension. 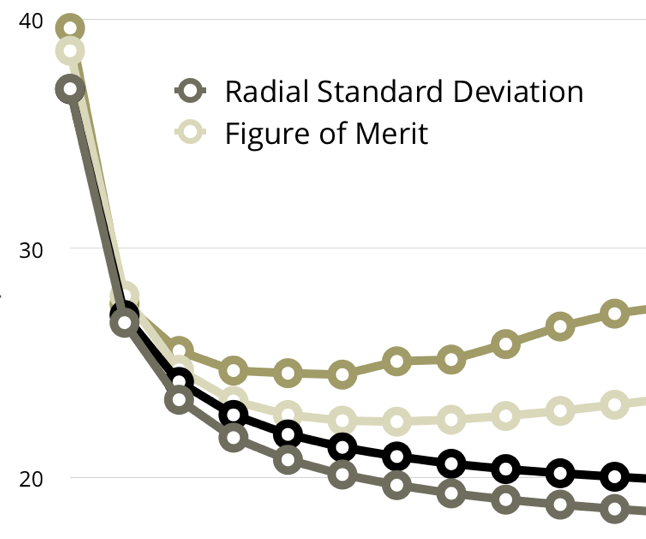 It's easier to measure and keep track of, but it's an indirect and inexact measurement. The neck is also an area of the case that requires close attention for safety reasons. 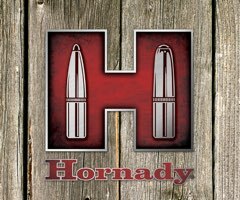 The neck, especially when used in tightly-chambered custom competition rifles, will be a very close fit with the chamber. 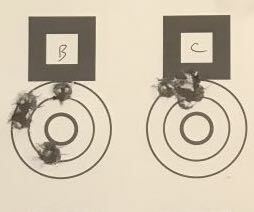 Benchrest shooters have been known to leave less than 0.001" of diametrical clearance between the loaded round's neck and the neck of the chamber. 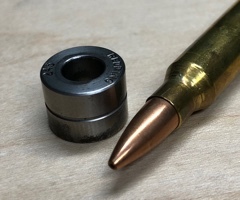 A clearance of 0.003" to 0.004" is considered on the small side for High Power rifle, for example, and a SAAMI or military chamber may have still more clearance. Needless to say, an interference fit between the neck and the chamber is a Bad Thing and will cause pressures to spike upwards. Also consider the presence of debris or fouling. 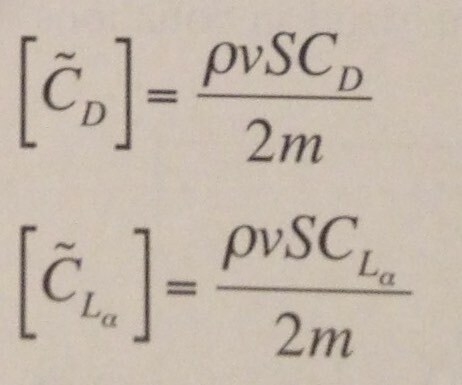 It does not take much to build up less than 0.001" of crud. You'll also notice benchrest shooters cleaning their rifles extremely frequently. In order to keep their cases at the optimal diametrical clearance, competitors turn the necks down, very precisely removing the outer layer of brass from the neck. Done properly, the neck thickness can be turned to a tolerance of +/-0.0003" or better. It takes some time, and a little practice, but I believe it to be somewhat important. Not as important as bullet choice or powder charge, but worth doing. Starting the bullet off straight from an eccentric case neck seems to be a tall order - so I make mine as symmetric as possible. We are also concerned about the length of the case and it's lengthwise clearance in the chamber. 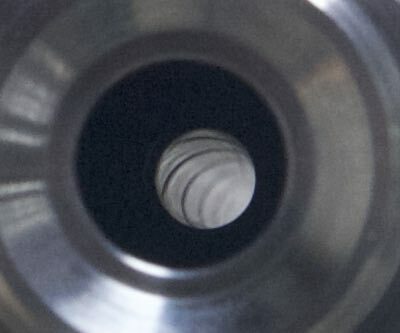 If the case is too long, the neck will be crammed into the bore when the bolt is closed, causing a very heavy crimp on the bullet which will also cause pressures to spike. When you fire a rifle, the cases tend to lengthen as the pressure pushes against their walls. Keep an eye on all of your cases and keep them trimmed appropriately. There is no downside to keeping your cases on the small end the allowable tolerance. 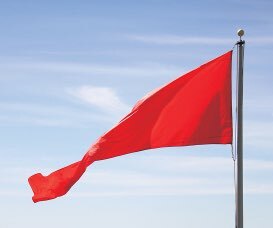 There is a big danger in keeping them too long. Shoulder: The case shoulder is the area that controls the cartridge's headspace. 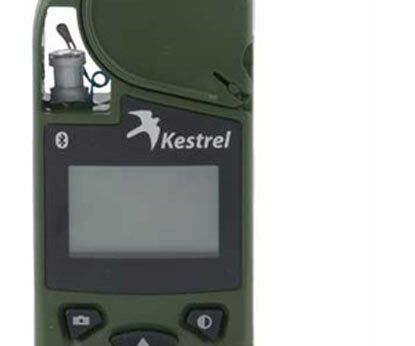 Headspace is the measurement from the base to a datum line (measurement reference) on the case, usually specified as a point on the shoulder at which the case is a certain diameter (which is specified by the cartridge designer). If the case's headspace is not a good match for the rifle chamber's head space (similarly defined as the distance between the bolt face and a datum on the chamber's shoulder) you run into trouble. If the chamber is too small, the rifle won't load properly - the bolt will be difficult to close, and you'll be deforming the case as you smash it into the chamber. If the chamber is too large, the case will stretch too much when fired, which can lead to problems like case head separation. Body: The meat of the case, this is the area that stores the powder. The brass gets thicker and stronger (harder) closer to the case head. That is because the case head is not supported by the rifle chamber, and needs to be substantial in order to resist the chamber pressure and keep its shape while holding the primer in place. Some manufacturers will make cases thicker than others. Assuming cases of reputable origin, it doesn't matter much, except that thicker cases will have lower internal volume, which means you may not be able to safely load them up with as much powder. Don't assume loads safe in one brand of brass will be safe in another. Also of interest is the diameter of the case body. 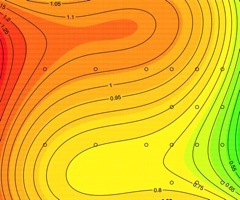 The area of the case body is the area on which the pressure of the burning powder pushes. Since force is just pressure times area, you can see that the force pushing back on the bolt face (known as bolt thrust) is higher for larger diameter cases. Not only does this have implications for the design of the action, but bolt thrust is a significant driver of barrel vibration. The more bolt thrust, the more vibration. For a detailed explanation and experimental verification of this fact, I urge you to get a copy of Harold Vaughn's Rifle Accuracy Facts. It's a must-have book for the precision marksman. (Update: This book is out has gone out of print. It's worth tracking down a used copy). Extractor Groove and Rim: The bolt needs somewhere to grab onto when you try to yank the spent case out of the chamber. That's what the extractor groove and rim are for. There's not much more to say about that. I'll end this article with a note about brass. Brass is a metal that undergoes what engineers call work hardening. What that means is that when brass is permanently deformed, it gets stronger and harder. This happens because the stress that deforms the brass introduces microscopic defects called dislocations into the metal's crystal structure. When lots of these dislocations are present, they actually interfere with each other, making it more difficult for the atoms to slip past each other. This is an oversimplification, but gets the point across. After enough work hardening, the brass will become so hard and brittle and it will fracture rather than deform. You can see this with old brass that splits at the neck when reloaded, or when a case is pushed too far and suffers a case head separation. At the risk of stating the obvious, you don't want your brass failing in this manner. Work hardening is, however, reversible. If you heat the work hardened brass to a high enough temperature, the energy of the heat will help work those dislocations out of the crystal structure, leaving the nice orderly crystal structure that makes for soft, weak, ductile brass. This process is known as annealing, and is practiced by some reloaders. The case neck (and only the neck! Annealing a case head is dangerous!) is heated to a temperature sufficient to soften it, lengthening the life of the brass. Extreme care must be taken when annealing brass, as softening the case head will render the brass unsafe. Remember that a metal's hardness is exactly equivalent to its strength. You cannot have strong, soft brass. The unsupported case head needs to be strong. Because there are significant safety concerns with annealing, I will not get into the specifics here. The annealing of brass cases is a complex topic and deserves it's own article.